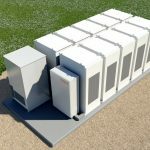 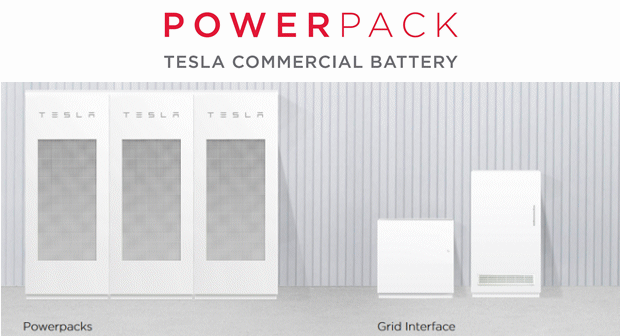 The Powerpack systems by Tesla offer fully integrated energy storage solutions for daily cycling usage on commercial and industrial sites. 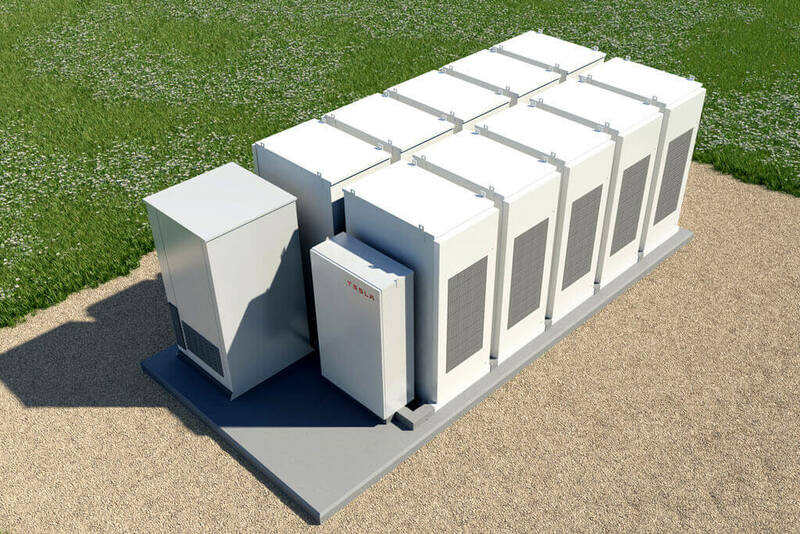 Every Powerpack has an energy capacity of 210 kWh (AC) and consists of 16 individual battery pods, each with an isolated DC–DC converter. 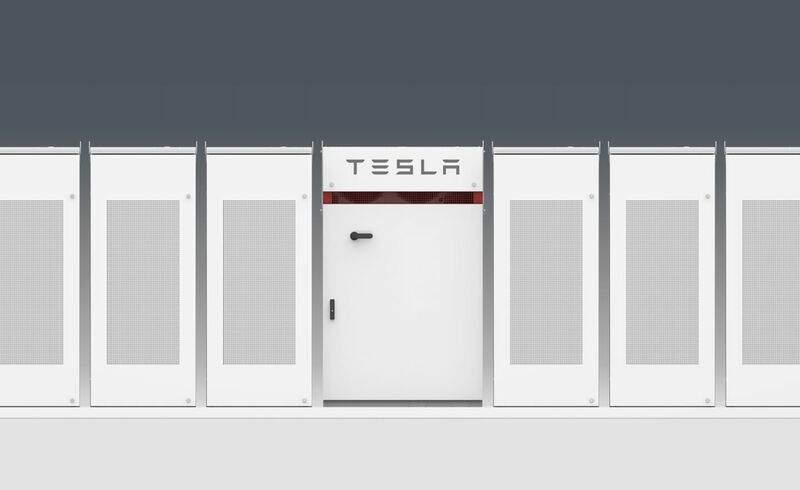 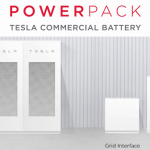 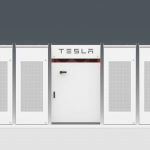 Apart from the lithium-ion batteries, the Powerpack also includes a $65,000 Bi-Directional 250 kW Inverter and cabling as well as site support hardware. 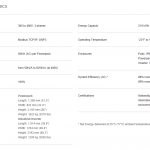 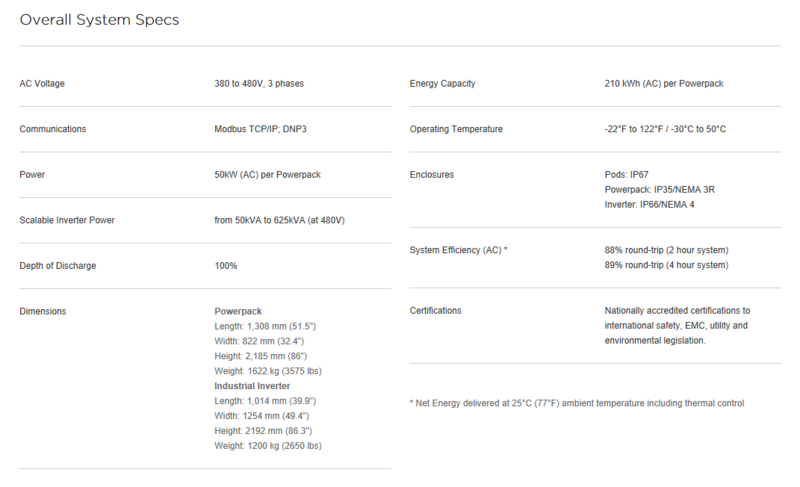 Depending on the commercial energy needs, customers are able to configure their Powerpack system individually, starting with an order of at least 2 Powerpacks up to a maximum of 54. 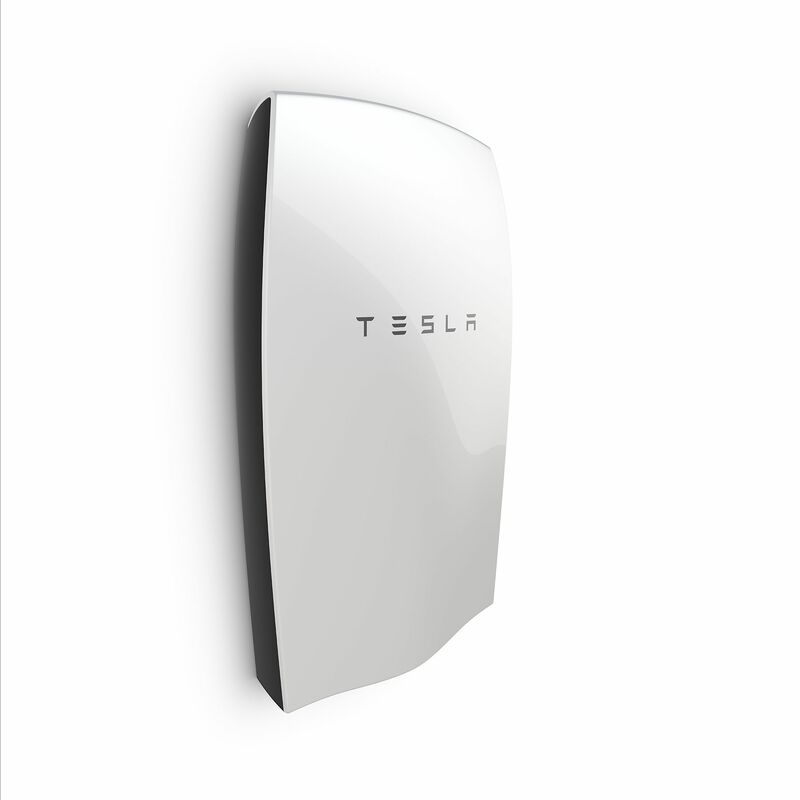 Without installation, the cheapest Powerpack costs a total of $162,000 for 200 kWh of energy and 100 kW of peak power.